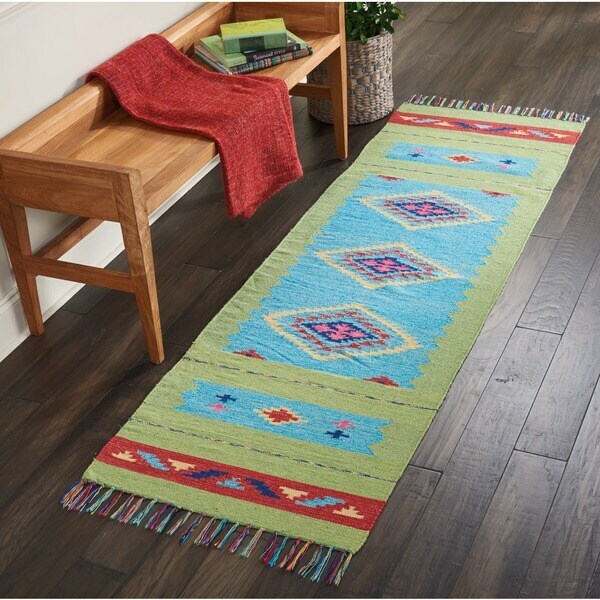 These rugs I ordered are just beautiful in my home and brighten up my whole house. 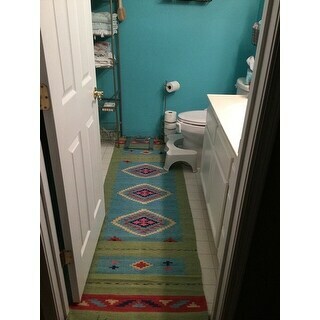 Absolutely love this rug! The colors are vibrant, the texture is comfortable, and it is exactly what I was looking for! I had to return it because, sadly, it wreaked of mildew. At first I thought it was a fluke, but a replacement order from the same company (different color) had the same strong odor. The problem is likely where it’s been stored prior to shipment. Aside from the stench it was lovely. a little thinner than expected but color is good it brightens up the room. I love the colors, so much deeper than in the picture, so very happy with it! !